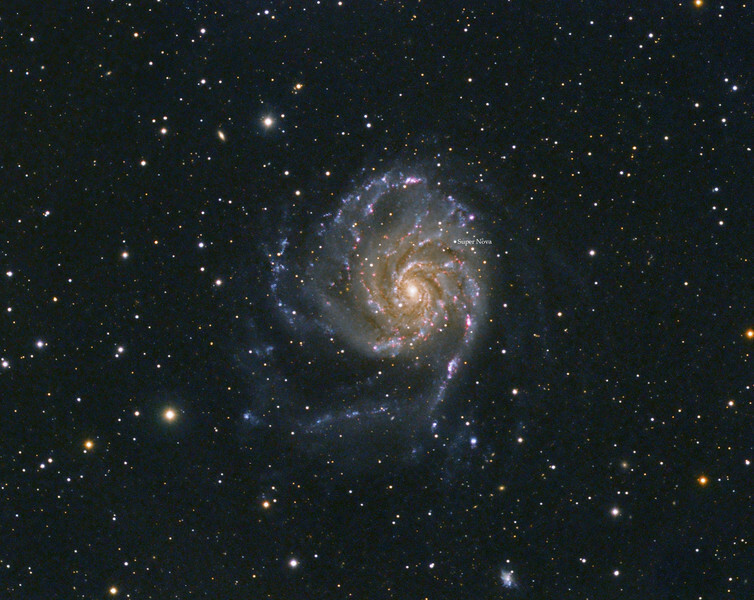 M101, Pinwheel Galaxy with Super Nova...combine of March 25.2011 image plus Super Nova taken August 29,2011. TEC 140 2 f5.6 with FLI ML8300 camera, L 9x10m, RGB each 5x10m, Ha 9x20m, all binned 1x1. Taken by Lynn Hilborn, WhistleStop Obs, Grafton, Ontario.